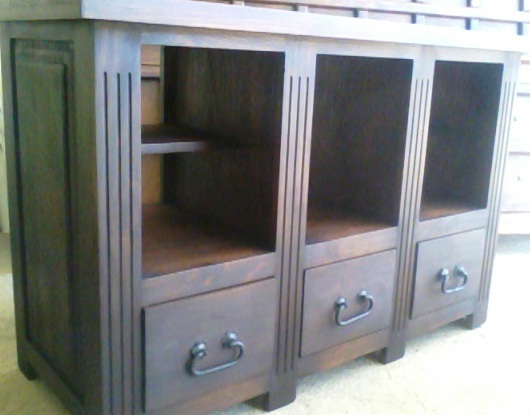 You can use this piece as a buffet or as a plasma TV stand. It is quite versatile practical. You can use this piece as a buffet or as a plasma TV stand. It is quite versatile practical. Solid, kiln-dried pine wood. Do not be fooled by its understated design, this is a beautiful piece with clean lines and so much potential. Lots of storage opportunities. Space for your television, books or dishes, Mexican talavera or other decorative items. Shelves and drawers combine to help you maximize space and stay organized. We love the beautiful partitions which remind us of temple columns. 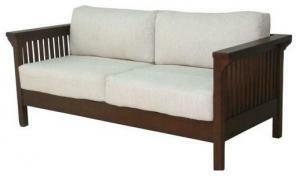 A lovely complement to our Mission Style Sofa.